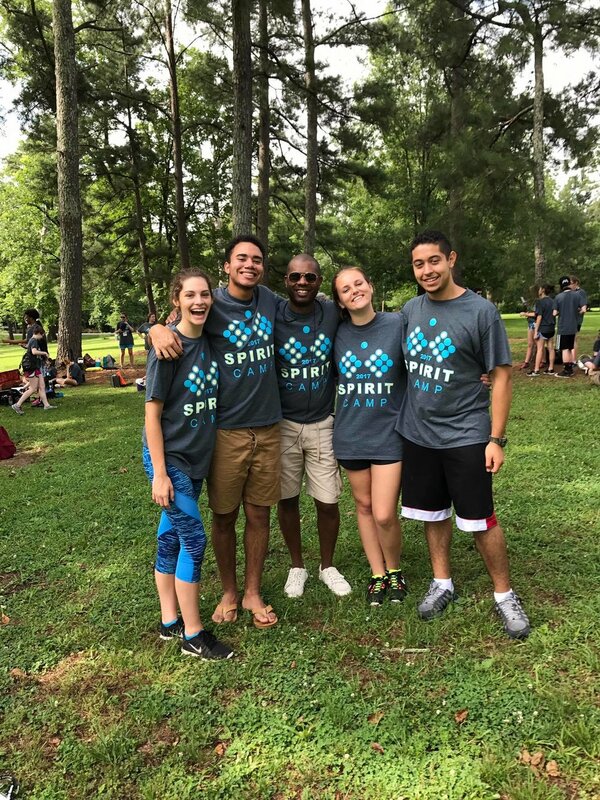 Congratulations to 2017 Drum Majors Ansley, Ty, Juan and Katie on a great week of learning at Spirit Camp 2017! The drum majors spent the week on the beautiful campus of Huntingdon College at the annual band leadership camp. Spirit Camp was founded in 1979 as a fundraiser for the Spirit of Atlanta Drum and Bugle Corps. The camp was one of the first of it's kind to offer high school students an opportunity learn the leadership tools to be effective leaders in their marching bands. The camp has always had a direct connection to the Sprayberry Band as the camp was founded by Freddy and Lynda Martin. Director Emeritus Dan Martin was an integral part of the camp at the beginning and continues to teach today. Both Mr. Esserwein and Mr. Ellis served on the drum major staff of Spirit Camp. Mr. Ellis is currently co-caption head of the drum major caption of the camp. Congratulations to Juan Jimenez for earning a most improved drum major award and to Katie Schoeffner for making finals in the conducting competition! Older PostWe have a new "TWIB"